A few months ago I wrote about participating in a November minimalism challenge (#MinsgameBOSS) in which I attempted to get rid of 1 thing on November 1st, 2 things on November 2nd, 3 things on November 3rd… you get the idea. At the end of the month, if I was able to stick with this pattern, I would have gotten rid of 465 things. Well, it took me until this week (because we were still unpacking boxes for far too long), but I did finally tally up the items and I managed to get rid of over 500 things! I am so glad I heard of this challenge and took it on… and it’s encouraging me to keep stuff out of my house in the first place so I don’t need such a major overhaul again. I want to encourage you to take on a similar goal, if you haven’t yet. 500 things may sound like a lot, but I’m actually embarrassed at how easy it was and how much excess we truly still have. None of these 500 things were being used often and hopefully many of them can bless someone else through donations. If you need a place to start, try to give away one thing away and then two tomorrow and if enjoy it, keep going! 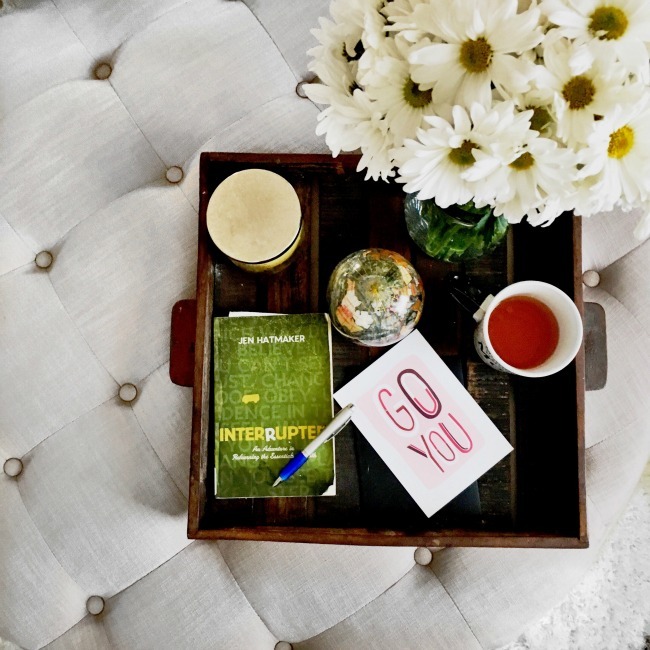 I really think this exercise will freshen up your space, your closet, and your mind, and I’m already excited for you if you decide to do this. I am seriously geeky about this type of stuff, guys, I just love simplifying. I can’t help it! Let me know if you’re going to attempt something similar to the November challenge or if you have already. Keep me posted! This entry was posted in consciously evolving and tagged minimalism, minimalism challenge, minsgameboss. Bookmark the permalink. My gosh. You are my hero. Hahaha. I seriously cannot even fathom having that much dedication to getting rid of things. I’m so sentimental about so many things that likely don’t require sentimentality (playbills, books, things I made when I was in middle school, etc. ), but man does that sentimentality make it tough to get rid of stuff. I’m definitely not sentimental about too much stuff other than my photos/scrapbooks! If there are physical things that I want to remember, I just put them in a scrapbook or take a picture of them and discard the actual object so it isn’t taking up space. I’ve been going through my house as I unpack and I get rid of things as I go. It helps that we’re unpacking almost a year and a half after moving in and having packed all of that stuff in the first place because I’m realizing how much of it I really don’t need at all. Oh gosh, if you didn’t need it for 18 months it’s probably safe to say you can get rid of it! At least that’s how I would look at it… the exception being some of my sentimental stuff that I just can’t let go of yet. Oh a LOT of things I got rid of were toiletries and makeup I needed to throw away! They were taking up too much space in my bathroom and I don’t have the room to spare in our new place! I just kept track of the stuff we donated in a spreadsheet (for tax reasons) and did tally marks for things like toiletries that I was throwing away. Then I just added up the groups of tally marks at the end of it! I’m a total spreadsheet/numbers nerd so I loved keeping track of it. Wow! 500 things! I am doing the 100 thing challenge right now and I’m actually doing pretty well. Maybe I’ll shoot for 500 over the next few months. OH MAN, I bet that felt SOOOOO good to get rid of so many things!!! I’ve been on a cleaning out spree lately, too, and it has been awesome. Way to go! Oh it did indeed. Now I just want to get rid of MORE things, though. I seriously might do the challenge all over again in a few more months. I need to do this starting this weekend. I already have a few piles of crap that need to make their way out of my house. YES! Previously I’ve been in the habit of keeping things in piles and then EVENTUALLY moving them out of the house, but it would take me forever. During this challenge I got it all out of the house immediately and it made me feel so much better! Thanks, Kelly! It seriously felt so great to get rid of stuff! That is awesome! I’m looking to get rid of/donate 100 things this year. After I see how this one goes, I would like to try this too! 100 things is way easier than you think! Well, I guess if it’s 100 BIG things that’s different, but in my case, my bathroom closet alone was filled with so many half-used containers of things I was never going to use again that I could have gotten to 100 in no time! wow i def should do something like this! what a great challenge lisa! Do it and let me know how it goes! I thought it was so great and I definitely already want to do it again!